Global Lifestyle Brand helmed by international designer Kelly Wearstler is renowned for unexpected, bold Maximalist chic design pioneered by its namesake. 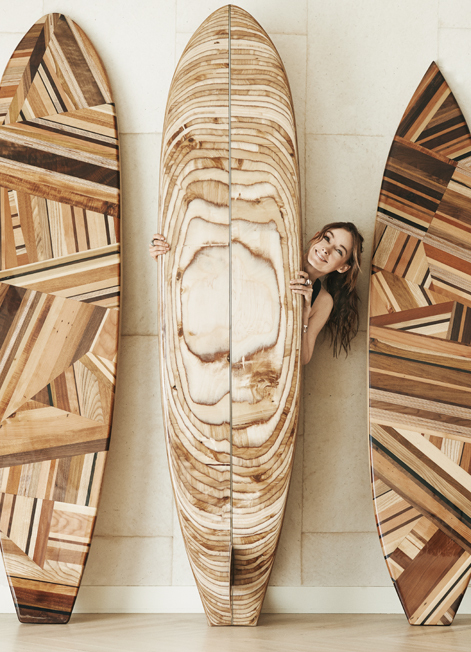 The company’s breadth of influence spans from residential and commercial projects, bespoke furniture, home and fashion collections, hotel design, and collaborations with some of the industry’s leading names. With a completely distinctive style that juxtaposes refinement with rawness, melds color, sophistication and swank and seamlessly blends many periods of furniture under one roof, Wearstler has revolutionized the look, feel and meaning of modern American design. The brand encompasses collections of home accessories, furniture, jewelry, fashion and accessories, fabrics, and rugs based on the vibrancy of her interiors, a flagship lifestyle boutique on Melrose Avenue in Los Angeles and premiere store at Bergdorf Goodman in New York. Hand-cultivated by Kelly, the flagship boutique houses one of a kind vintage pieces procured from her travels around the world as well as her own designs. 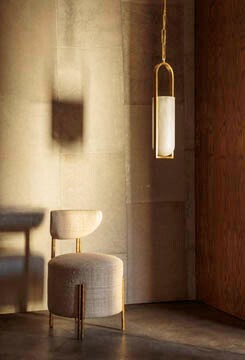 In addition to the freestanding boutique, her eponymous collection is available at fine boutique, department stores around the world and on her own robust e-commerce site, KellyWearstler.com. Her expansive list of credits includes collaborations with some of the industry's most respected global brands, including The Rug Company and Bergdorf Goodman. Wearstler launched three lines of fabrics and trims with Lee Jofa — her third collection for the venerable textile company remains the best selling collection to date. The brand’s wallpaper and fabric collaborations with Groundworks feature rich sophisticated color pairings, metallic finishes, and graphic patterns signature to the Wearstler aesthetic. In addition to her decorative items, ten Wearstler-designed patterns of both formal and casual dinnerware are available through Pickard, one of America's oldest makers of fine china. This Fall Wearstler launched a collection of digital and print invitations for Paperless Post featuring patterns inspired by her own textile and wallcovering designs, as well as her love of stones, bold graphics and figural art. 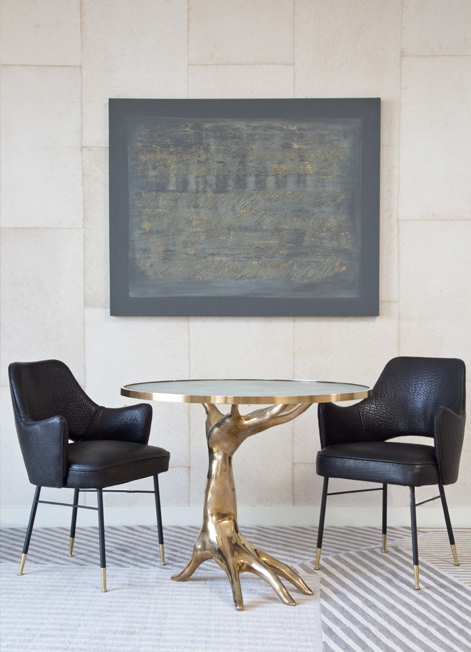 In addition to her international commercial work, Wearstler continuously creates grand residential interiors for some of the most prominent players in the worlds of art, business and entertainment. The lifestyle and travel brand boasts its own bespoke furniture collection as well a celebrated presence on vintage and antique online retailer1st Dibs. With an ever growing portfolio, Wearstler’s reach in luxury hotel design extends from Beverly Hills to the Caribbean. As a showcase for her creative work, Wearstler has published four books: Modern Glamour: The Art of Unexpected Style, Domicilium Decoratus, Hue, and Rhapsody. Her much lauded blog MyVibeMyLife houses mood imagery and inspiration garnered from sources around the globe. Additionally, Wearstler has amassed a venerable web presence on major social media platforms for sharing her eclectic style and fearless calling-card aesthetic with followers. An avid fashion aficionado who has been collecting vintage pieces since childhood, Wearstler has been named to Vogue's Best Dressed list. Other accolades include a berth on the Los Angeles Times' bestseller list as well as inclusion in TIME Style & Design's elite "Design 100" group of global creatives. Wearstler also served as a two-time judge on the Bravo network's interior design competition series, Top Design. Her work has been featured in international publications including, Vogue, Elle Décor, Harper's Bazaar, Architectural Digest, French and German AD, The Financial Times, InStyle, Elle, Conde Nast Traveler, Women's Wear Daily and The New York Times, among many others. In an extensive 2009 profile, The New Yorker called Wearstler "the presiding grande dame of West Coast interior design." She has also been documented on the CBS Morning Show. 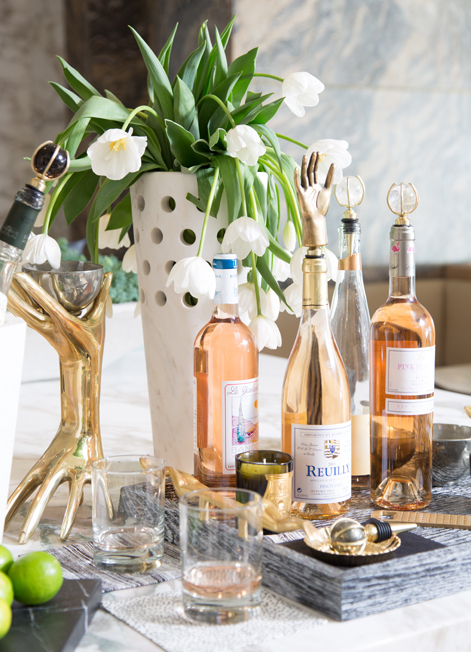 Her designs are frequently featured on such design blogs as The Coveteur and Apartment Therapy. Wearstler currently resides in Beverly Hills, California with her husband and two young sons.